Sebastopol, CA, April 11th, 2011 — Freeman Vineyard & Winery’s proprietors, Ken and Akiko Freeman have raised $25,000 through the special sale of large format bottles of their Russian River Valley and Sonoma Coast Pinot Noirs. The Freeman’s generously donated 100% of the proceeds which will go directly to the Japan Society of Northern California Earthquake & Tsunami Relief Fund in coordination with Give2Asia (http://give2asia.org/japansociety), an efficient philanthropy that is working for short-term and long-term recovery projects in the affected communities in Japan in partnership with Japanese relief organizations on the ground. The $25,000 donation was one of the single largest personal donations through the Japan Society of Northern California. Akiko Freeman states “this natural disaster has struck a personal chord, Japan is my home and we want to be able to help in some capacity”. Freeman adds “we wanted to find a significant way to raise funds for this tragedy and help to rebuild what was lost while also paying respects to those who lost loved ones”. The Freeman’s are continuing to raise money for Japan with an event for Japan which was held at the winery Sunday, April 10th and is expected to yield and additional $10,000. Founded by Ken and Akiko Freeman, Freeman Vineyard & Winery is dedicated to crafting elegant cool-climate California Pinot Noir and Chardonnay in a sophisticated Burgundian style. 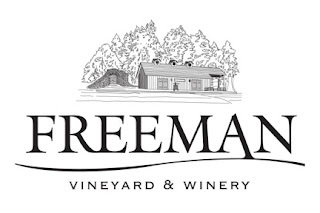 Believing in the vast potential of the Sonoma Coast and Russian River Valley appellations to produce wines of complexity and refinement, the Freemans work with a small portfolio of acclaimed partner vineyards including Keefer and Heintz ranches. 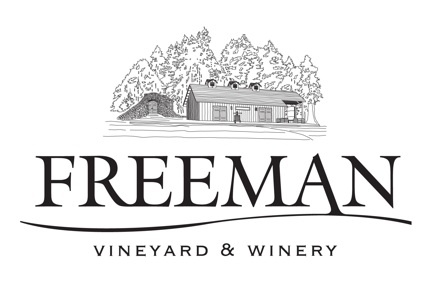 In addition, the Freemans have a seven acres estate vineyard at their picturesque winery in Sebastopol and fourteen acres at their Occidental vineyard, Freeman Ranch – both are planted with Pinot Noir. These sites share many common elements that define excellence in cool-climate viticulture, including hillside locations with coastal fog, Goldridge soils, proper clonal selection and stressed vines producing extremely low yields of nuanced fruit.